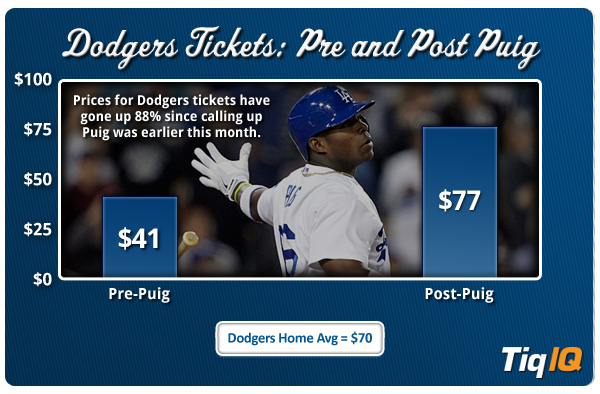 It’s been a rocky season so far for the Dodgers, but in the last three weeks prices for Dodgers tickets have gone up almost 90% since Yasiel Puig was called up. Despite that, when the Dodgers host the rival San Francisco Giants for a three-game set this week starting on Monday night ticket prices will be some of the cheapest Dodgers vs Giants tickets in years. Currently, tickets for this series are averaging just $41, 43% below the average price for Dodgers tickets this season at home. For each game the get-in price is very affordable, including $2 tickets for both the first (Bumgarner vs Ryu) and third game (Lincecum vs Kershaw) of the series, and $9 ticket for the middle game. 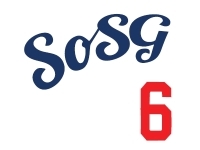 If you’d like to grab a couple seats of your own to this series or any MLB tickets, click on the links above or visit TiqIQ.com.